Mouse pads are normal the last thing on your mind, and a lot of us will just go for those red £2 mouse pads you get from magazines. 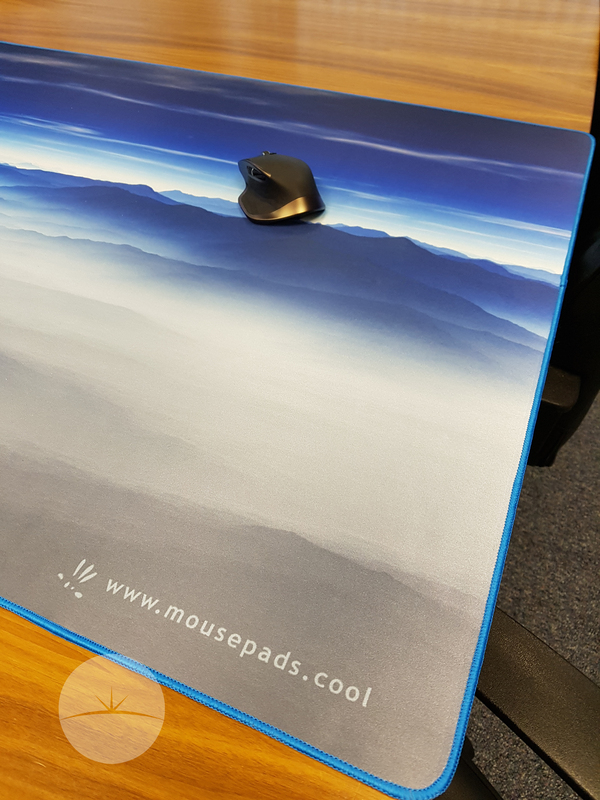 Gamers will go the extra mile when it comes to mouse pads, but the Pad-Zilla is the extra extra mile. The Pad-Zilla comes in at 60″ long, by 30″, that’s right! 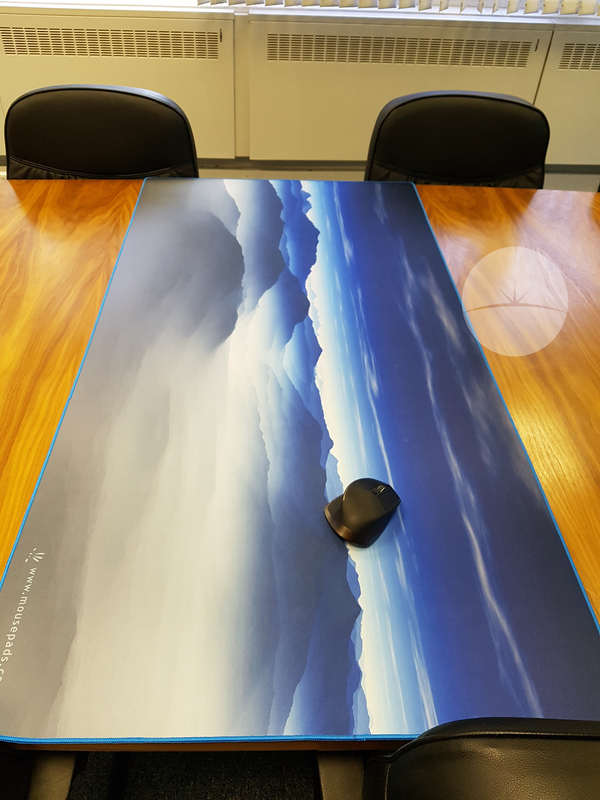 This is a 60″ mouse pad, and as you can see in the pics, this is a huge mouse pad. We are currently using the Pad-Zilla in the meeting room, as it gives a nice space for meetings and conference calls. 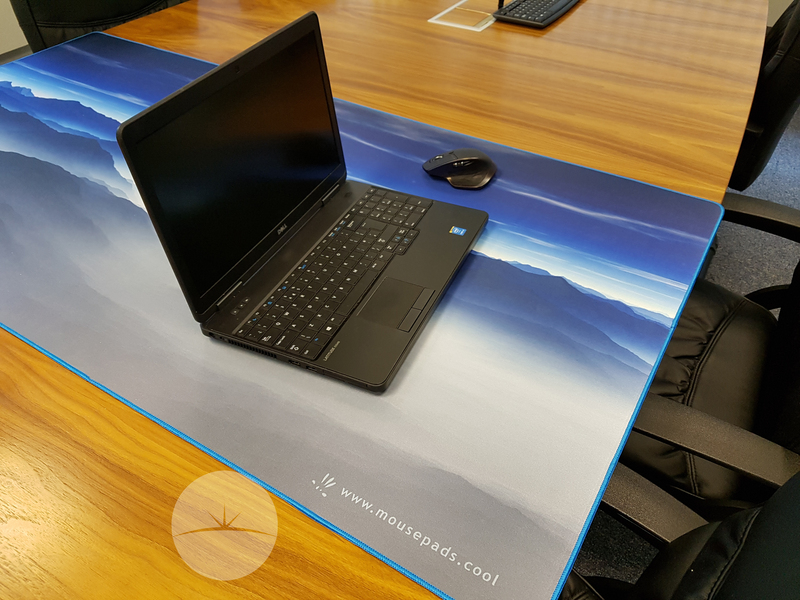 The Pad-Zilla is made to cover your entire desk, and a large part of the meeting table. But a standard 5′ desk, is completely covered and allowed me to experience a new freedom, the freedom of my entire desktop being my mouse pad. The Paz-Zilla is made of slightly textured fabric with a silk finish, which I found perfect for mouse movement. The Pad-Zilla is coated with a water resistant cloth finish, which means any spillages can just be wiped away and not absorbed into the pad. Along the bottom is a non-slip rubber base, which stops it from moving around my desk. I tested with a spillage of my morning tea, the liquid sat on top of the mat, allowing me to clean it with a cloth. There was no residue or wet patches after it had been cleaned. The non-slip also works incredibly well. When I had the laptop and mouse on top, I wanted to move the mat a bit, this was actually rather difficult. I had to eventually lift it from the edges and drag it across the desk. 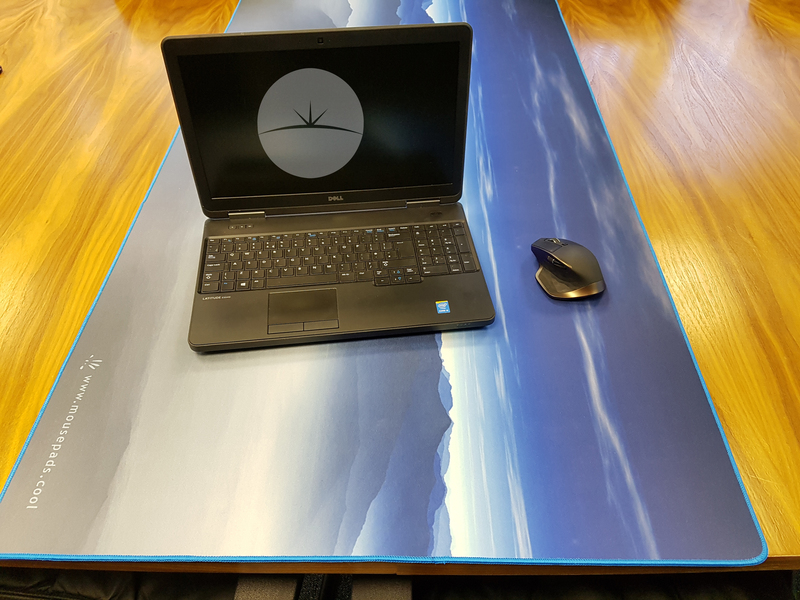 Wall art, table protectors, floor mats, meditation mats, dog/cat pads, trade show table dressing, company promotion, techie presents, and more! I can’t say I would use it as wall art, but it does work well as a center table spread. The Pad-Zilla comes in at $60, which on the face of it, looks like a really expensive mouse pad. But you have to look at the added benefits of the Pad-Zilla, the fact it makes your entire desk a mouse pad is a big bonus for me. Thank you Luke and Droid Horizon for the most beautiful presentation of our new product! WOW are we ever humbled and very thankful for this gift. Thank you and all the best!